"This message will self-destruct in five seconds." It's the heart-racing line known to Mission Impossible fans around the world, when the details of secret assignments are handed out to undercover agents before a rip-roaring adventure. And now, thanks to a team of researchers, self-destructing gadgetry could one day exist. A joint team of US and Chinese researchers have created electronics that can degrade and even disappear completely if exposed to simply moisture in the air. Just as electronics oxidise when exposed to humid conditions, the researchers built electronics and circuits from the polymer polyanhydride, which degrades very rapidly (through a process called hydrolysis) when exposed to moisture thanks to a reaction with corrosive acids present in the materials. While the electronics work perfectly well in conditions where humidity is not high, they can be engineered to be more or less sensitive to areas where humidity is present. As such, the devices could be built to degrade within a matter of days, or a matter of weeks – or simply so that their degradation was triggered by the user. 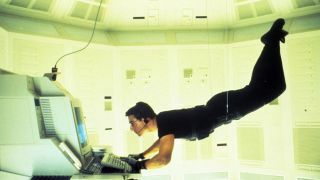 Just like with the Mission Impossible films and series, there's obvious application for security services. Any sensitive materials stored electronically could simply be built to self-destruct and disappear after a set period of time had allowed those with the right clearance to view them. But it also points to new ways to dispose of aged and used electronics. While recycling programs for consumer technologies are improving, large quantities still end up in landfill. Ideas like this could help to break them down before they ever hit a rubbish dump.